Click on the poster to see a larger view. We are at the midst of a global crossroad. The undeniable transition to LEDs can either restore our starry night sky or obliterate the stars for decades to come for the majority of the population. It depends on us. Yes, you and me. We need to work together for an urgent activism campaign to reclaim our starry night sky — before contracts for BAD outdoor lighting are signed. 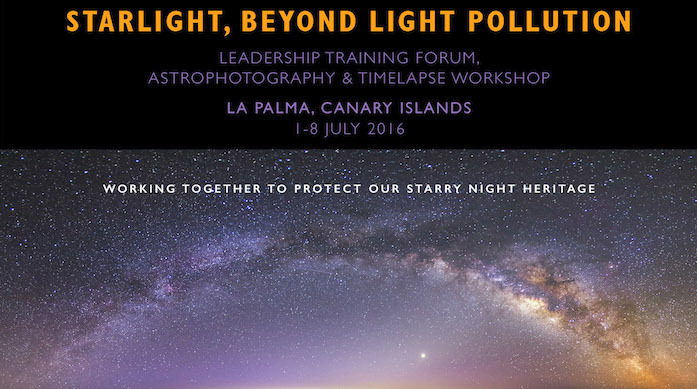 You are invited to participate in STARLIGHT, BEYOND LIGHT POLLUTION LEADERSHIP TRAINING FORUM being held July 1-8, 2016, in La Palma in the Canary Islands. There are many ways that you can contribute. As a speaker. If you would like to give a presentation, please send your summary to the committee for review. Offer a resource or a slide for the Master Power Point that is being developed for presentation at the conference. This will be a living document— continually renewed and updated— and will be free to access for anyone to use for presentations in their local area. Host a meeting in your community and participate in the live webcast portions of the conference. Some portions will be perfect for training new or experienced activists. 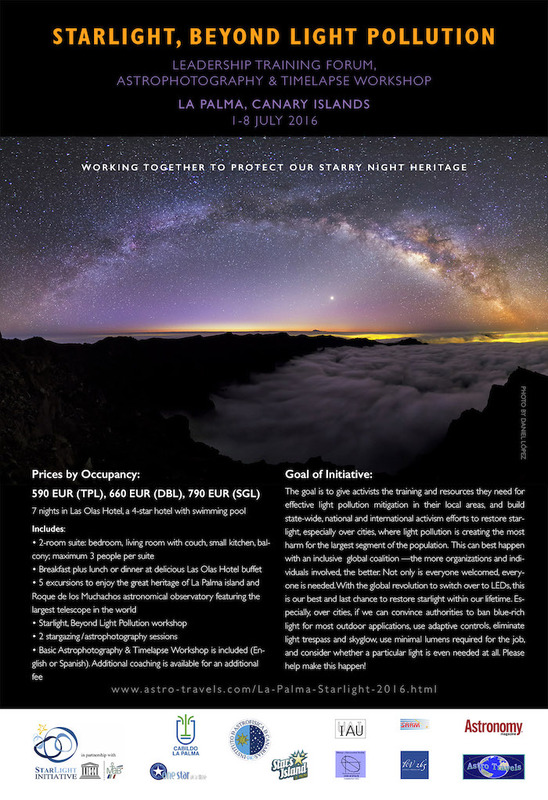 Another portion of the conference will be appropriate for your elected officials and general public… and will include a run through of the STARLIGHT, BEYOND LIGHT POLLUTION Master Power Point and a panel discussion with Q&A session. Please be the steward of the starry sky. Together, we can restore starlight for today’s generation and beyond. Each of us has something to offer, and it comes from our love for the starry night sky. Together, we can restore starlight. 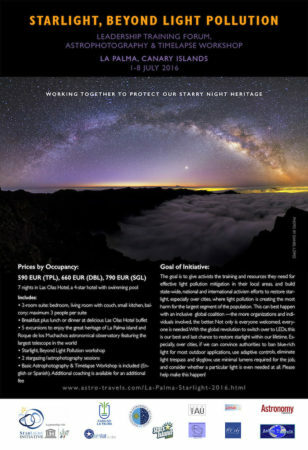 Audrey Fischer is dedicated to starlight restoration especially over cities, where light pollution can do the most harm to the greatest numbers of the population. She is president of the Chicago Astronomical Society (established 1862), past IDA Board of Director and current IDA Chicago chapter leader, founder OneStar at a Time and the Global StarPark Network. Next post: Halley’s Comet is Back! At Least its Remnants Are.